This pic is the only treasure I came home with from this weekend’s Richfield All-City Garage Sale. Stumbling across a simple little scene like this reminds me of what I love most about thrifting, hunting, sifting, etc. The beauty is in the search. This entry was posted in photography, Uncategorized and tagged garage sale, photography by highplainsthrifter. Bookmark the permalink. is that man getting sassy w. his ladies?? Ha! I totally almost bought that globe, but the $14 price tag seemed a tad hefty. I have just the spot in my place that’s begging for a globe. They are fun to collect, I’ll bet! 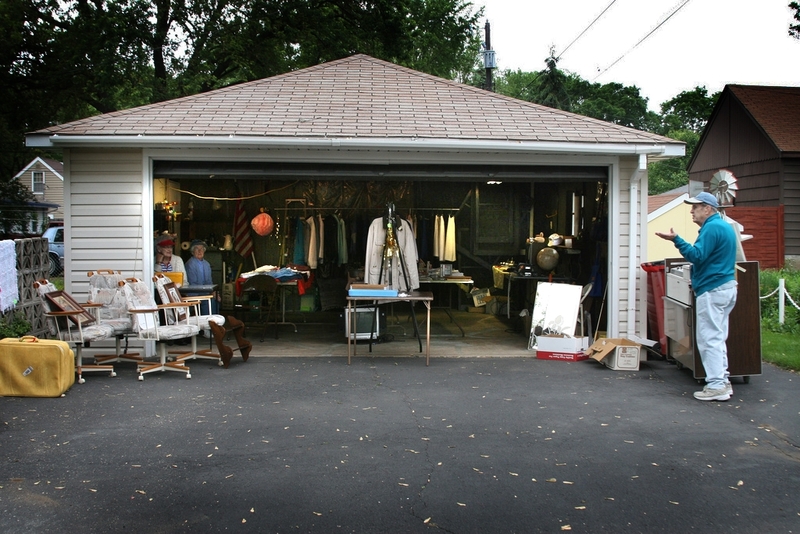 My heart always skips a beat when I drive by a garage sale! The thrill is in the hunt, indeed!